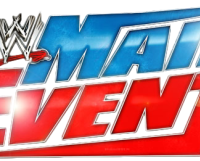 The 81st edition of WWE Main Event came to you from the Giant Center in Hershey, PA. In the continuing mascot battle, Main Event would see 3MB’s mascot Hornswoggle going one-on-one with Los Matadores’ mascot El Torito. Non-Title: Big E def. Alberto Del Rio by pin following the Big Ending. Hornswoggle (with Heath Slater) def. El Torito by pin following the Tadpole Splash. Sheamus def. Titus O’Neil by pin following the Brogue Kick. Ryback (with Curtis Axel) def. Jimmy Uso (with Jey Uso) by pin following Shell Shocked.